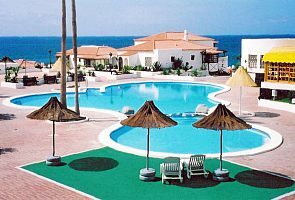 El Beril is a quiet ideal family complex which is situated on the seafront in the Del Duque area of Costa Adeje in Tenerife, just opposite the Altamira complex. The complex boasts amazing sea views as well as a good pool area with sun beds and the pool is heated from November until April. The pool also has a new security fence, making it safe for children. The staff of this complex are very friendly, according to many Tripadvisor reviews. Immediately outside the complex there are shops, restaurants and bars with a walkway connecting you to the golden beaches of Playa Fanabe and Playa del Duque, both of which are very well maintained and beautiful.